Everytime I client fills out my form it automatically should go to my email address and some are not, anymore and I am missing a lot of requests because of it which is horrible for my business. I'm checking your form and it seems like the notification is not properly configured. Could you please complete that setting and test your form again. 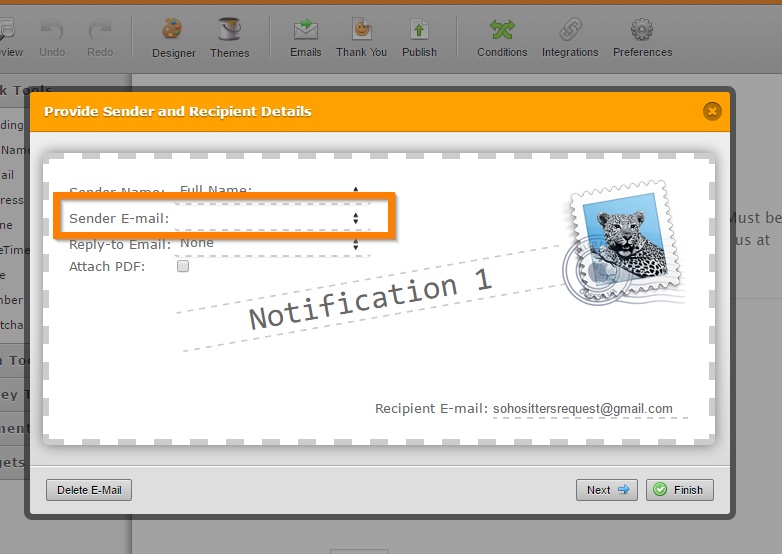 Make sure that when you are testing your notification, you'll open the form, fill it out and click the submit button. If you are still having problems, you can check the steps mentioned in this guide to further troubleshoot and fix the problem: https://www.jotform.com/help/208-How-to-Setup-Email-Alerts-to-Prevent-Email-Bouncing-Related-Issues.